Great photo. It shows how slowly the mountains move in terms of geology. Our Red Rock Canyon, 225 million years ago! It would be cool to see this place as it was when completed and meet the people. How rare for Shannon and Brian to post without editorial comment… Great photo, nonetheless. It’s weird seeing a travel blog post photos of the places you’ve grown up, and not Europe or something. Thanks for the reminder that home is a special place. too. That has been a theme here in the past, that travel doesn’t need to involve crossing an ocean or even going far at all. For some reason we tend to discount those things that are right around the corner from us, even when they’re places others dream of visiting. 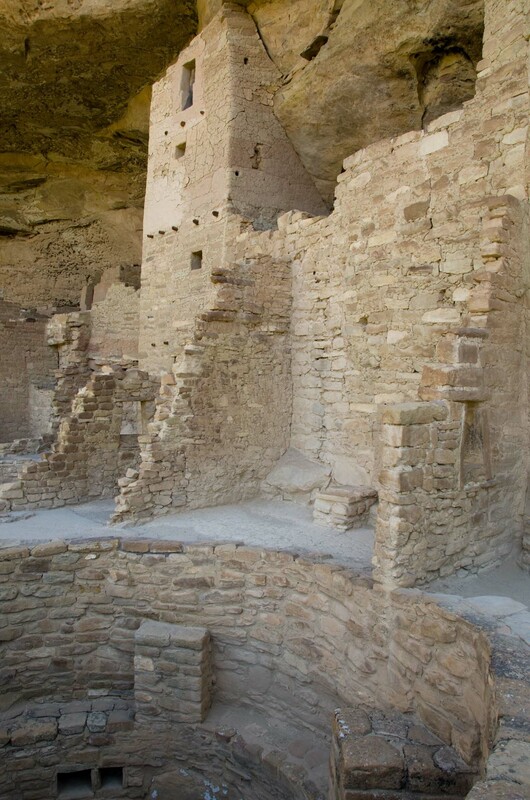 Mesa Verde! visited there once and very impressed!! I always just think how ancient people had life there and so on… 😉 wish to have more chance to travel so I could visit these interesting places! !